Competitors can relate to this wherever you live on the planet- loading up your racer and hung-over, scaly mates and girlfriend and heading off to the track hoping the last minute fixes to your steed will last the rigours of the weekend away from home base. 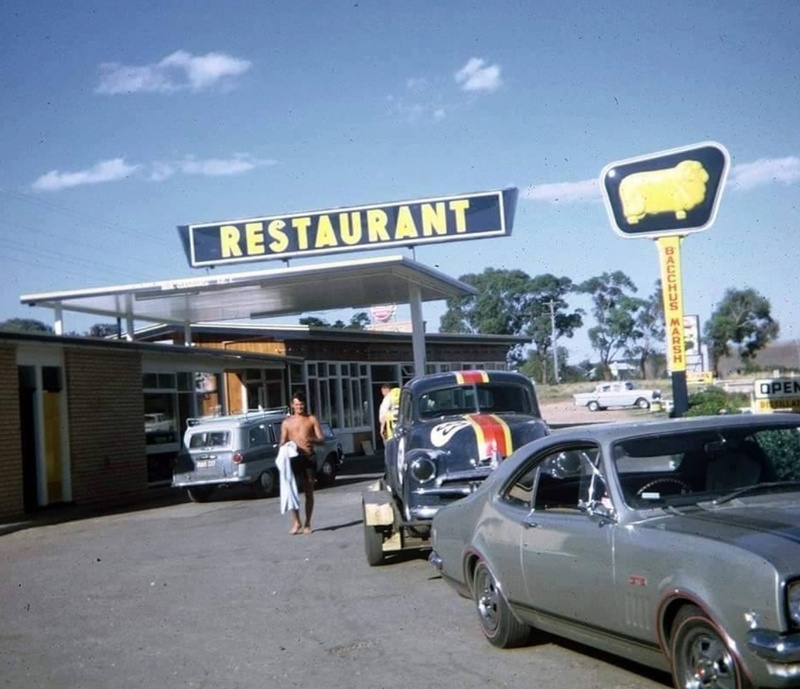 Enthusiast racer Lee Nicholle identified the photograph on ‘The Nostalgia Forum’ which was taken at a ‘Golden Fleece’ servo at Bacchus Marsh, 60 kilometres from Melbourne on its western outskirts. Oz enthusiasts of a certain age will well remember Golden Fleece as a brand of petroleum products and servo’s such as this one operated by Australian Company HC Sleigh since 1893. Caltex acquired the business in 1981. The racer is a Holden FJ or ‘Humpy’, sports sedan. The tow car is the ‘Ducks Guts’ of General Motors Holdens range at the time- no less than an ‘HK’ Monaro GTS powered by the range-topping Chevrolet 327cid V8. 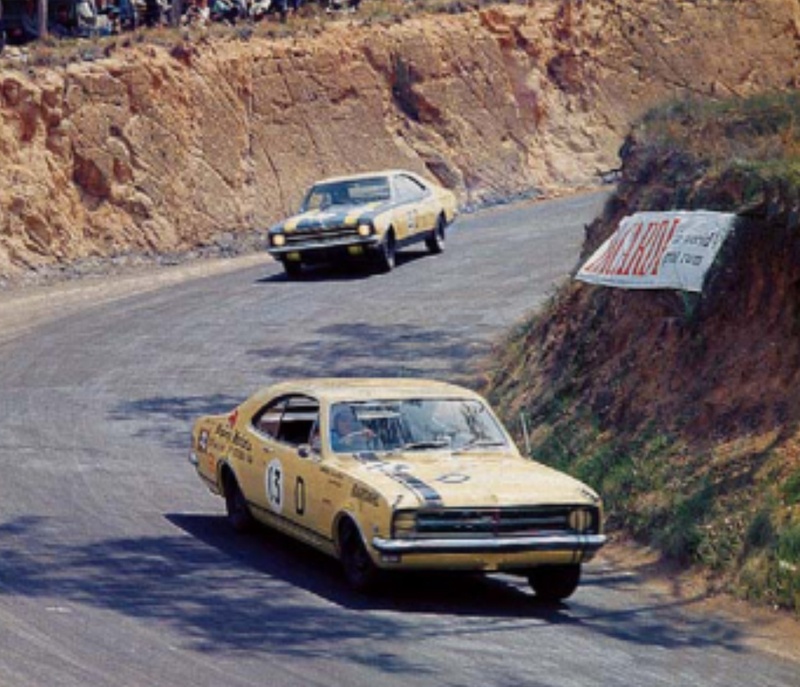 One of these cars won the 1968 Bathurst 500 enduro driven by Bruce McPhee. The race was then run to ‘Series Production’ or unmodified road car rules. That the car is new is proved by the standard fitment ‘Dunlop Sovereign’ radial tyres. The other road cars in shot are a Vanguard and in the distant carpark an ‘FB’ Holden. Finally, Lee notes that Boulter still races in ‘Historics’, has built a replica of this car as a ‘roadie’ and that the bare chested youth, now over 70 of course!, is John Reynolds who stayed close to racing as a supplier of Champion plugs into the 1990’s.